Former Philadelphia Eagles LB Conor Barwin will be in town tomorrow, Saturday, 4/21, for the opening of Smith Playground in South Philadelphia. This is the second refurbished and redeveloped community park made possible by Barwin's Make The World Better foundation. Smith Playground is a 7.5 acre site at 24th and Jackson Streets in the West Passyunk neighborhood. The new park will feature a multi-sport turf field, a recreation building, basketball courts, baseball fields, and a unique "bar park." (see video) Tomorrow's festivities kick off at 11 am with ribbon cutting ceremonies at 12:30 pm. A National Bar League competition is at 2 pm. MTWB has raised money for its projects by holding benefit concerts with some of Philadelphia top talents including Kurt Vile, Amos Lee, Waxahatchee, Hop Along, The War on Drugs, Marian Hill, The Districts, also out-of-towners Mac DeMarco, The Suffers, and Tontons. 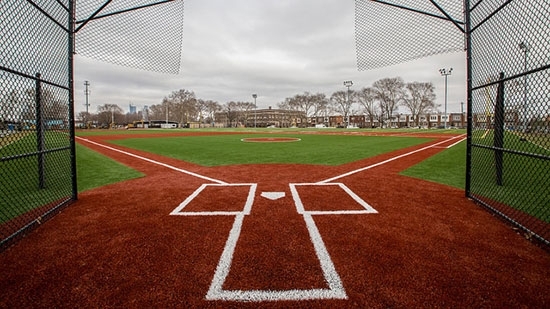 Previously, MTWB refurbished Ralph Brooks Park in Point Breeze. They just started working on Waterloo Playground in Kensington. Barwin played for the Los Angeles Rams last year, but is currently a free agent. Thousands of students in our area and across the country participated in National School Walkout day, Friday, 4/20, to mark the 19th Anniversary of the Columbine High School shooting. Two armed students killed 12 students and 1 teacher while injuring 23 others in that Colorado school on this day in 1999. The two shooters killed themselves. Hundreds of local students participated in rallies calling on legislators to act to prevent school shootings. In Philadelphia, students marched down the Benjamin Franklin Parkway and gathered at City Hall for a 'die-in.' Students at Haverford High School in Delaware County and Abington Friends School in Montgomery County also staged their own walkouts. 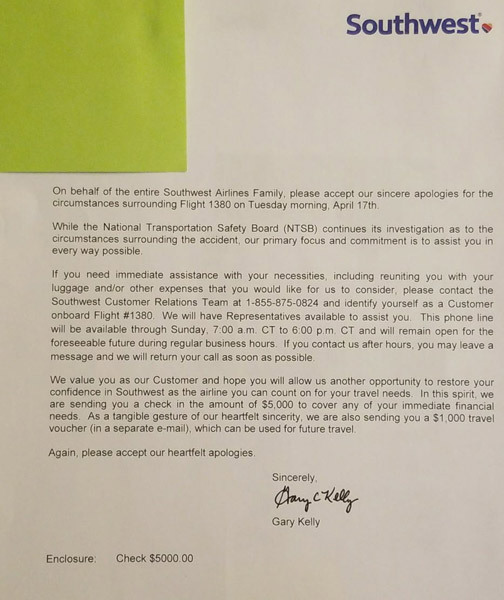 Southwest Airlines has sent passengers who were on board Flight 1380 that made an emergency landing earlier this week an apology letter, $5,000 check, and $1,000 travel voucher. The flight from New York to Dallas had to make an emergency landing in Philadelphia after one of its engines exploded and blew out a window mid flight. One person died. The letter signed by Chairman and CEO Gary Kelly starts, "On behalf of the entire Southwest Airlines Family, please accept our sincere apologies for the circumstances surrounding Flight 1380 on Tuesday morning, April 17th." He continues, "We value you as our Customer and hope you will allow us another opportunity to restore your confidence in Southwest as the airline you can count on for your travel needs. In this spirit, we are sending you a check in the amount of $5,000 to cover any of your immediate financial needs. As a tangible gesture of our heartfelt sincerity, we are also sending you a $1,000 travel voucher (in a separate e-mail), which can be used for future travel." (see letter below) The NTSB is investigating the incident.